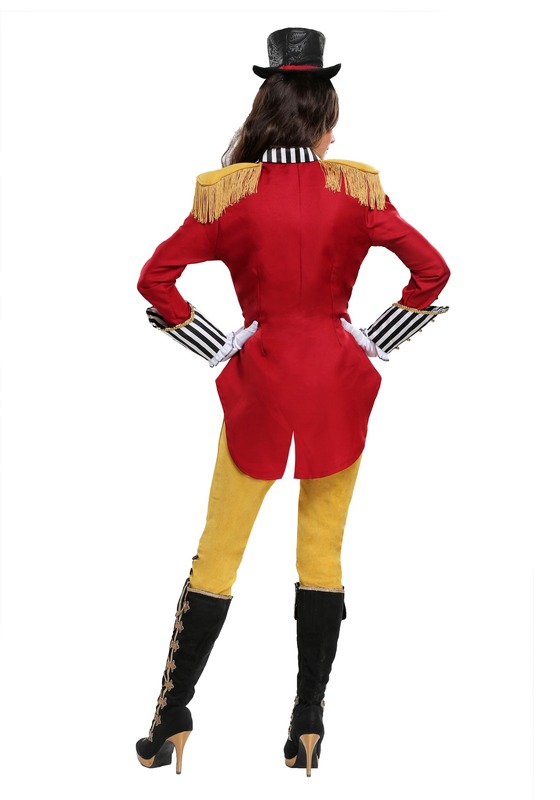 Fitted red jacket has tassels on the shoulders striped cuff with buttons. Do you run the show? Maybe your career doesn't take place in the circus but your life is still entertaining! Everyone in your life has their own talent. Your sister in law has a balancing act with three kids who all have different interests from ballet to soccer to ceramics, you can see her walking on a tightrope throwing flaming clubs into the air. Then there's your partner, they're always pulling faces and making you laugh as they go through their morning routine with a slapstick quality. They'd be a clown for sure. Your younger sister shirks responsibility so well that she'd be an escape artist without any doubt! 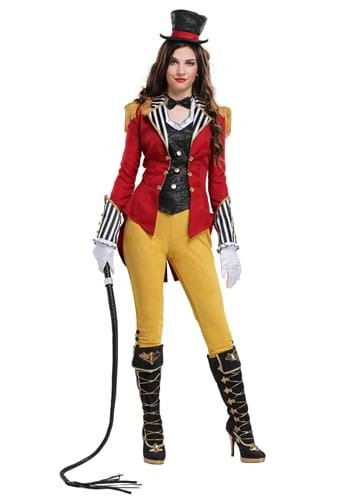 If you're the type of person that keeps everyone on the right track and encourages folks to perform well, then you'll feel right at home when you're dressing up in this ringmaster costume. You'll be ready to start the show in this awesome costume. The fitted red jacket has golden tassels on the shoulders and the dashing striped cuffs studded with gold buttons. Layered under the jacket is a vest with a scrolling pattern, silver buttons, and ruffles around the collar. You'll love the way the tawny pants pair with knee-high boots, looking timeless with the rest of the ensemble. A small top hat and a black bowtie makes this costume complete. Polish off this look with a whip prop to make sure everyone knows to respect your reign! Maybe you're heading out on Halloween solo or maybe you want to pair up with the rest of the circus act. Heading out with the bearded lady, the strongman, and maybe even a clown. You might just be dressing up for Halloween but with costumes this good, you guys could probably sell a few tickets!